Extensions, also known as plugins, provide a one-click way to customize your web browser. From filtering out offensive words to blocking unwanted ads, there’s a browser extension for that. Cryptocurrency users have a particular need for plugins to enhance their privacy, perform crypto payments in-browser, and check market prices. Whether you use Chrome, Brave, Firefox, Safari, or Opera, some of the following extensions may come in handy. While plugins can add utility and convenience, remember that you are installing third-party code into your browser. Plugin repositories such as the Chrome Web Store endeavor to check all submissions, but nefarious code has been known to slip through the net. Check the user ratings and number of installs for any extension you’re considering, and be wary of adding new or untested plugins whose authenticity is unverified. Privacy-enhancing plugins form the starter kit for most web users, particularly those who use cryptocurrency. If you’ve just installed a new browser, the first extensions you should consider include Adblock (Chrome’s most popular plugin by some distance), Privacy Badger for blocking trackers, and if you’re an EU resident tired of popups, you might wanna include I Don’t Care About Cookies. These aren’t the only browser extensions that perform these tasks, but are the most popular of their kind. If you’re looking to sign transactions, access dapps, and send and receive cryptocurrency as you browse, you’ll need an extension that will turn your humble web browser into a crypto wallet. Ethereum users have Metamask for all their needs, while Bitcoin Cash fans have Badger. Metamask is available for Chrome, Firefox, Opera, and Brave, and allows ETH and ERC20 tokens to be sent and received, as well as controlling interactions with DEXs such as Ethfinex Trustless and IDEX. Its web wallet can also be used on platforms such as Decentraland, Augur, Veil and Guesser. For entering Ethereum’s version of the decentralized web appears, Metamask is your gateway. Badger, meanwhile, allows users to store and send BCH as well as the SLP tokens that are built upon the Bitcoin Cash protocol. The noncustodial web wallet facilitates in-app purchases and micropayments using BCH, and grants access to Bitcoin Cash decentralized apps. BTC users wishing to tip fellow Twitter users via Lightning Network can use the Tippin Chrome extension. If you’d like to check the markets without whipping out your phone and firing up your portfolio app, Bitcoin Tab will do the honors. The Chrome extension draws real-time news and pricing directly from Blockmodo, as well as community developments and social media chatter. It provides a snapshot of what’s going on across the industry, at a glance. Other options include an unofficial Coinmarketcap plugin. There’s also the minimalist Cryptex, which provides a beautiful background that displays the price of three cryptocurrencies whenever you open a new tab. Crypto Tracker is also worth a look. Finally, for cryptocurrency users who hate censorship, Dissenter by Gab will spice up the web by enabling you to freely comment on every site you visit. What are your go-to browser plugins? Let us know in the comments section below. Images courtesy of Shutterstock, Bitcoin Tab, Badger, and CMC. 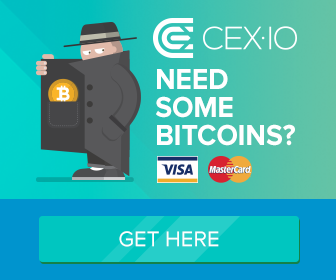 Disclaimer: Bitcoin.com does not endorse nor support these products/services. Readers should do their own due diligence before taking any actions related to the mentioned companies or any of their affiliates or services. Bitcoin.com is not responsible, directly or indirectly, for any damage or loss caused or alleged to be caused by or in connection with the use of or reliance on any content, goods or services mentioned in this article. Kai’s been playing with words for a living since 2009 and bought his first bitcoin at $19. It’s long gone. He’s previously written white papers for blockchain startups and is especially interested in P2P exchanges and DNMs.